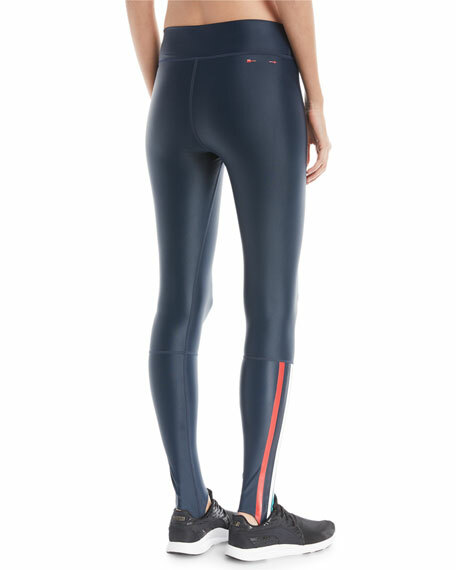 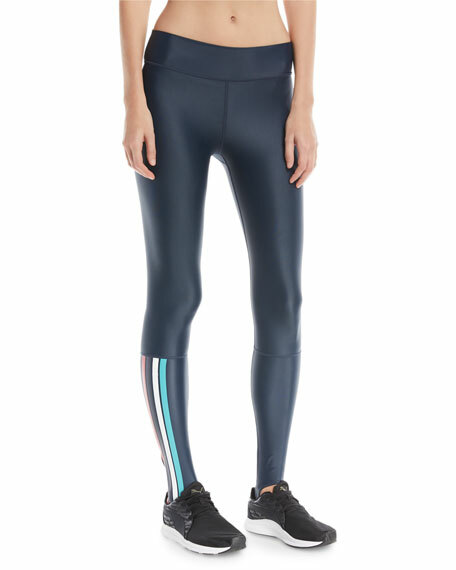 The Upside performance leggings with graphic stripes at side. 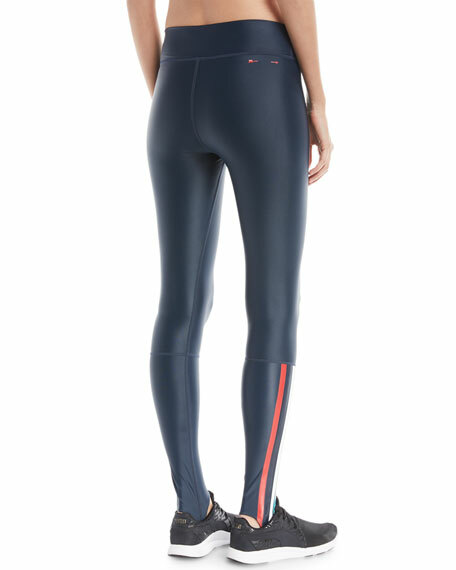 Elastic stirrups under heel for added movement. 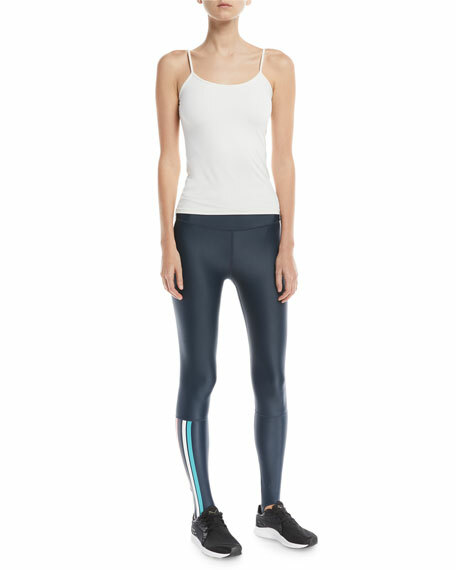 For in-store inquiries, use sku #2349726.